• I also carefully considered my options before deciding to move out and buy my own house. • Every student in a Johns Hopkins University class boycotted the final exam, so based on the established grading curve they all got a perfect score. • I was conflicted seeing all the good-looking movie stars sporting beards at the Oscars, but ultimately they can't be blamed for believing in science. • Nikola Pekovic and Zach Galifianakis are besties now. Lotta respect in the beard game. • Never forget: Kelsey Grammer was the original Jennifer Lawrence. • Tough to decide between Lawrence and Jack Nicholson or Joseph Gordon-Levitt and Sally Field for cutest Oscar couple. • It was a good run, but after nearly three years as Official Fantasy Girl of AG.com this might be the end of us. I've got a committee putting together a list of potential candidates. • And don't feel too bad for Mila Kunis. She's used to it. • Just to be clear, I'm still willing to marry into Kate Mara's family. 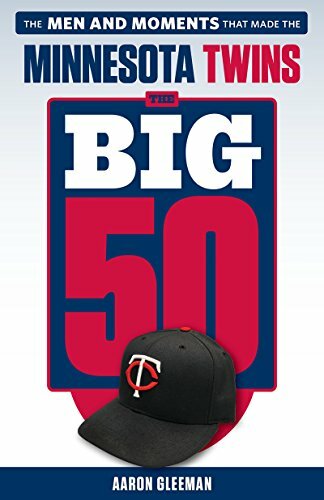 • My annual series ranking the Twins' top prospects will conclude next week, but in the meantime here's the first installment of the top 10. • Ricky Rubio to Alexey Shved on TNT last night: "Change your face. Be happy. Enjoy it." • On this week's "Gleeman and The Geek" episode one of my family members was randomly at the bar we chose for the recording and I also compared myself to Jennifer Lawrence. And based on that amazing video it's the worst nightmare of everyone around him too. • Wright Thompson's lengthy ESPN.com piece about Michael Jordan on his 50th birthday is a must-read, if only for the part about Jordan's security code name being a Hebrew word. • I kind of want to go to New Mexico and take this "Breaking Bad" tour, even if Bryan Cranston isn't around to pose for pictures with everyone. 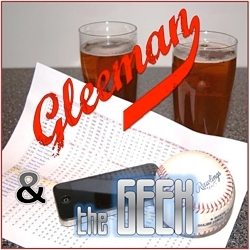 • Congrats to friend of AG.com and two-time "Gleeman and The Geek" guest Lindsay Guentzel for her new gig on K-TWIN, where she'll co-host a show with Ron Coomer and Mark Rider. • I've always been a big believer in naps, so I loved the Boston Globe's "how to nap" guide that illustrates the best methods for napping and explains why napping is a good thing. My personal recommendations: Try to nap immediately after finishing work for the day and buy a sleep mask to block out any sunlight for daytime napping (and also to look really cool, obviously). • Erin Andrews had no interest in going to the candy shop. • Zach Lowe of Grantland wrote a really interesting analysis of stat-head general manager Daryl Morey building the Rockets into a high-powered, statistically ideal offense. • Reading this interview with Linda Cardellini it occurred to me that she's 37 years old, which seemed impossible considering she brilliantly played a teenage Lindsay Weir in 2000. My crush has not dissipated since then and I recommend spending 99 cents to watch Cardellini co-star with John Slattery in the 2011 independent movie "Return." • Hey, it's spring training for national anthem singers too. • Now that we know Ron Gardenhire texts I imagine him as a heavy emoticon user. • Stephen Curry had a crazy degree of difficulty while scoring 54 points on 28 shots. • I first saw Haralabos Voulgaris when he made the final table of a World Poker Tour event in 2007, but poker is just a hobby. He's gotten rich from betting on basketball and as Scott Eden of ESPN.com chronicles that makes him arguably the most successful statistical analysis in sports. Any weight advantage was canceled out by the scarf. • Fictional players from my "Hardball Dynasty" league are now being interviewed on Fan Graphs. • Sure, it's only March 1, but it's hard to believe you'll see a better catch this year. • Jim Thome is still looking for work, so I'll make a standing offer: $20 per episode to co-host the podcast and I'll do the best I can to keep John Bonnes from hugging him. • It took Joe Posnanski all of two posts on HardballTalk to write something better than anything I've ever written on there. • In addition to Posnanski we also added Bill Baer of Crashburn Alley to the HardballTalk crew. • My mom tried to get the inside scoop about the Baer hiring before anyone else. • There's a podcast about embarrassing pooping stories and it's actually pretty good. "How I Met Your Mother" writer Doug Mand is the host and he's joined on "Doodie Calls" by lots of funny guests, like "Happy Endings" actress Eliza Coupe and Twitter must-follow Alison Agosti. • Adele is great and all, but Paul F. Tompkins does the best version of "Skyfall." • Louis C.K. 's latest stand-up special, which I happily bought for $5 on his website last year, is now available on Netflix online. Here's a screenshot of me watching it for the third time. • In addition to being an age-old debate Blondes vs. Brunettes is also a female flag football game to raise money for Alzheimer's awareness, so check out a good, fun cause and go to their happy hour at Brit's downtown next week. - "Father of Diora Baird's child"
- "Aaron Gleeman dating Linda Cardellini rumors"
- "Carlos Gutierrez baseball agent"
- "Aaron is fat and mental"
- "NBA players wearing teeth braces"
- "How do I lay my leg with a broken fibula?"